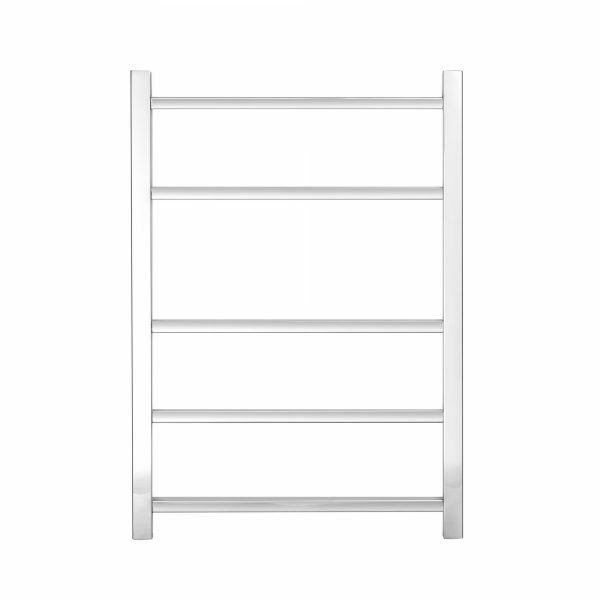 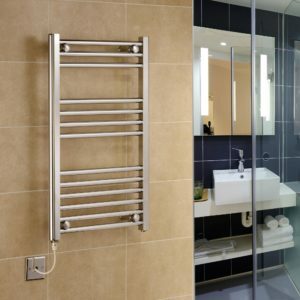 These designer stainless steel central heating towel rails are made using 304 grade stainless steel which ensures no rusting even in damp bathroom conditions. 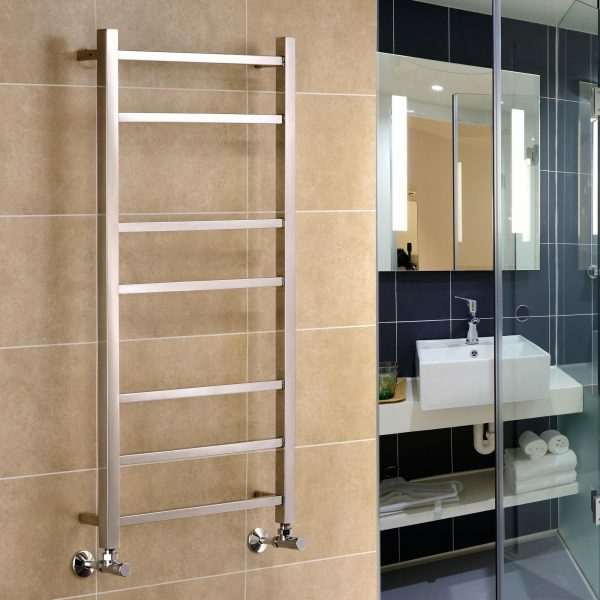 With a polished finish and contemporary square tubes, the Cumbria range is the perfect addition to any modern bathroom. 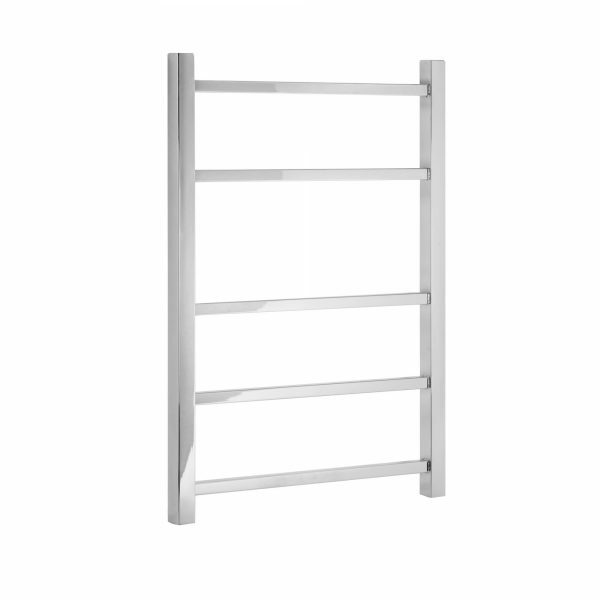 A sign of the high quality finish, the wall brackets and air vent are mounted on the uprights resulting in a sleek look and maximum space for hanging towels. 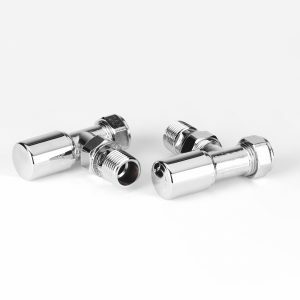 They’re pressure tested to 10 bar and so are ideal for any domestic or commercial central heating system, and come with a 10 year guarantee for maximum peace of mind. 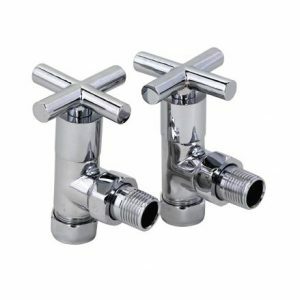 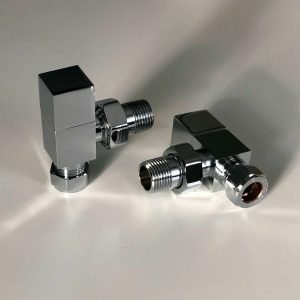 We have a complete range of widths and heights from 500 – 600mm wide and from 760-1165mm high and also stock the Cumbria range as both Electric and Dual Fuel options, along with a range of valves and TRVs to give your installation the perfect finish. 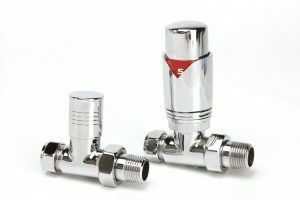 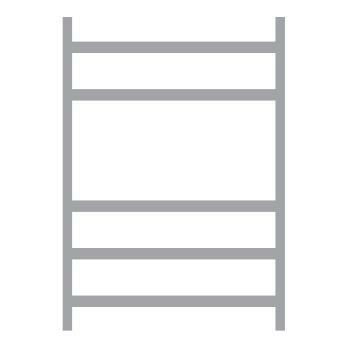 If you have any questions or need help choosing the correct size or extras like valves, or if you’d like your towel rail with a dual fuel option, don’t hesitate to contact us for advice.